The Caribbean including Puerto Rico, Dominican Republic, Jamaica, St. Kitts, St. Martin and the Virgin Islands. European and Mediterranean ports such as Germany, France, Great Britain, Spain, Greece, Italy, Poland, Turkey, Russia, Belgium the Netherlands, Denmark & Sweden. Services to the Adriatic Sea such as Croatia and Montenegro. West and South Africa ports including Nigeria, Congo, Lagos, Senegal, Benin, Togo, Cameroon, Monrovia, Banjul, Angolia, Durban and Ghana along with many others. The Middle East including Saudi Arabia, United Arab Emirates, Jordan, Beirut and Kuwait, as well as many others. Central and South America including Chile, Brazil, Argentina, Peru, Venezuela, Panama, Costa Rica and Honduras. Asia including Singapore, China, Thailand, Philippines, and Vietnam. 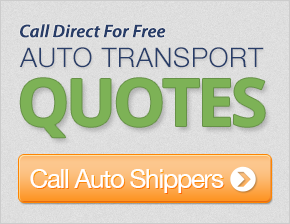 For detailed information on ocean transport methods, boat and yacht shipping, and other shipping services get a free auto shipping quote now! This is our second transport and we are anticipating a third in the next few weeks. You have always responded quickly and answered so many questions for us it has been a great experience working with you. I would recommend your company to anyone needing this type of service. The drivers have been great as well. I just wanted to say thank you for fast and dependable service. The car was picked up two days after I placed the order and was received five days later. It traveled all the way from Washington state to North Carolina. I couldn't believe how quickly we received it; the driver was very nice and helpful. I would use your service again. We are military people and do a lot of moving around. Your company made it stress free! You were very helpful and the vehicle arrived at the estimated time quoted. The carrier was very nice and I would definitely do business with you again. Very nice people and great customer service. I would recommend this company to friends and family. Very helpful and honest customer service agents. We had originally booked the transport of this vehicle with another company that did not work out. Your company was much more professional and our vehicle was delivered in a timely manner and was in very good shape. Thank you! I would like to thank you for making it possible for us to leave the Mitsubushi at the Oklahoma City terminal. You solved our problem in a matter of hours so that we were able to continue our journey from Oklahoma City to San Carlos California. Your expertise and attention to this matter was invaluable. Thank you very much! Car was delivered 2 days before the day the truck was going to arrive. There was a great guy calling me to give me information and keeping me in touch with what was happening. Thanks! Thanks! Good job to the driver. He was very nice. You guys were more than helpful every time I needed help. When I tried to get an exact pick up date because of my time constraints, customer service got the ball rolling. Everything went great and the truck driver did an OUTSTANDING job! Thank you for everything. Very polite and eager to assist. Thanks! Very responsive, friendly and always on time. Thank you. Thank you. Excellent job on everything. Very pleased! Good service in general terms. The only thing is that sometimes the trucks that they use are very big and they cannot pick your car up at your home as the service say door to door, so you will need to deliver your car in a nearby location with enough space for the truck. Other than that, I will use this service again. Very courteous and helpful and patient. Thank you - we will use you again! Nice job on both cars. Thank you. Excellent experience. I would definitely use your service again. The driver Rod was very professional and friendly. I was very pleased with the care he took in delivering our car. I also appreciated the updates on when the car would be delivered. Awesome Job. We liked your service - definitely will refer my friends. Thanks! The car arrived much earlier than expected. The service was unbelievably good and I will certainly use you again when I need to move a vehicle. Thanks. You were excellent to work with and very responsive. Although my car was not picked up in the timeframe I had hoped, because of your professionalism, I will definitely use your service again. I will tell my friends about you and would not hesitate to call you again if I needed a transport. Excellent customer care. Very helpful! The driver was considerate of my time in that he kept in very good communication with me regarding his expected arrival. Overall, a very good experience and I would highly recommend your service to others! Drivers and customer representatives were overall excellent. I would definitely use your auto transport services again and recommend you to all my friends. Extremely helpful and very responsive in returning calls. I did not comment on the competitiveness of the price because I did not do a lot of research into this area. Thank you. Fine job of setting up my shipment; very professional and helpful.